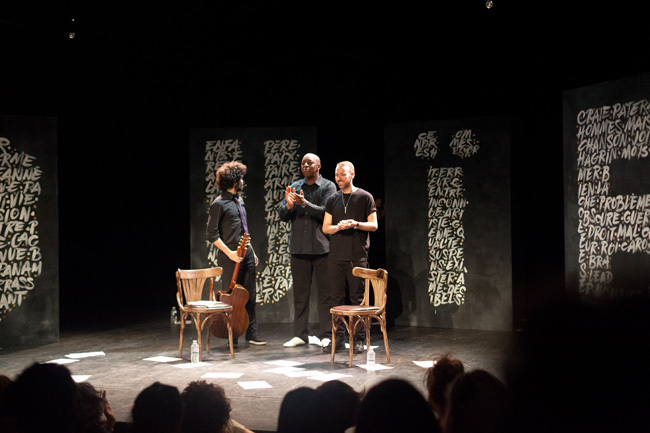 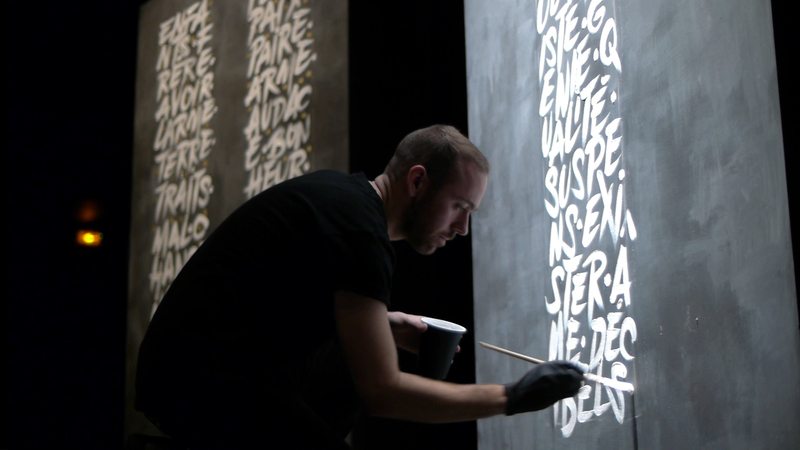 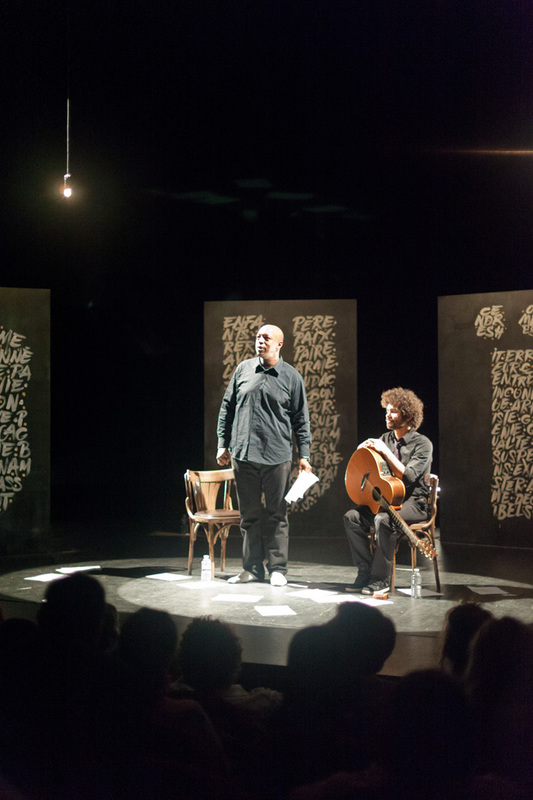 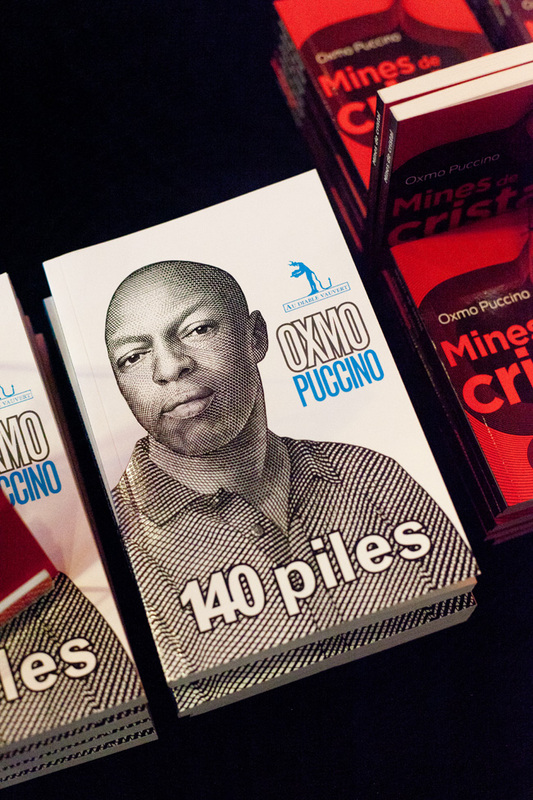 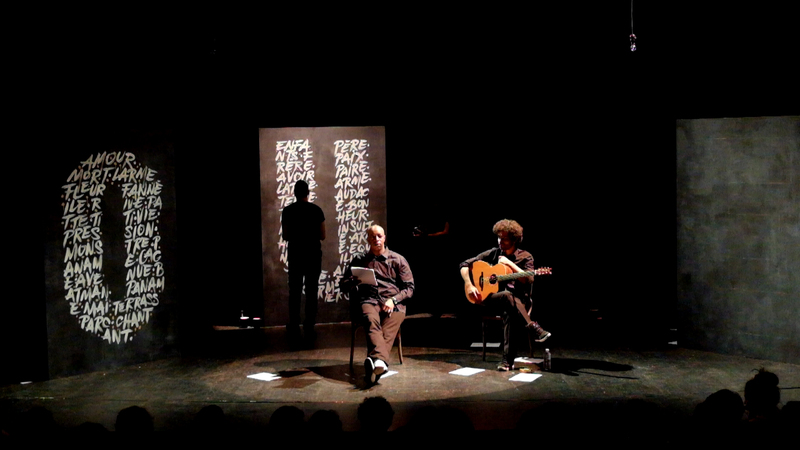 In order to celebrate the launch of his book #140 piles, hip hop musician OXMO PUCCINO, invited the public to a musical reading along with a performance of graphic designer Tyrsa. 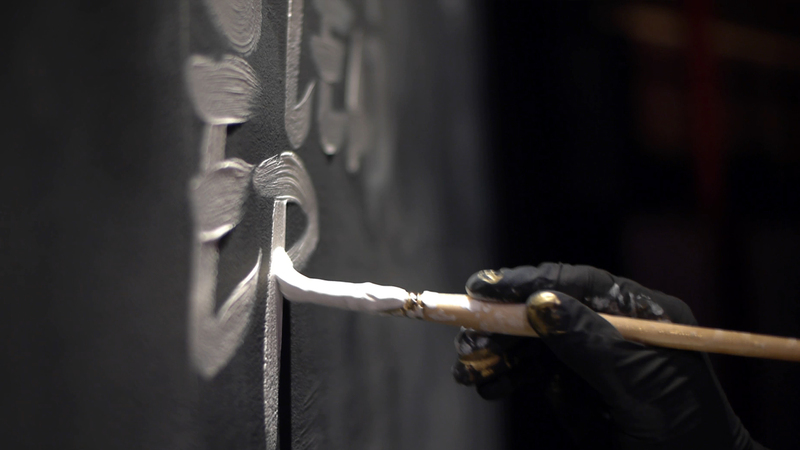 Production by DLP and aimko. 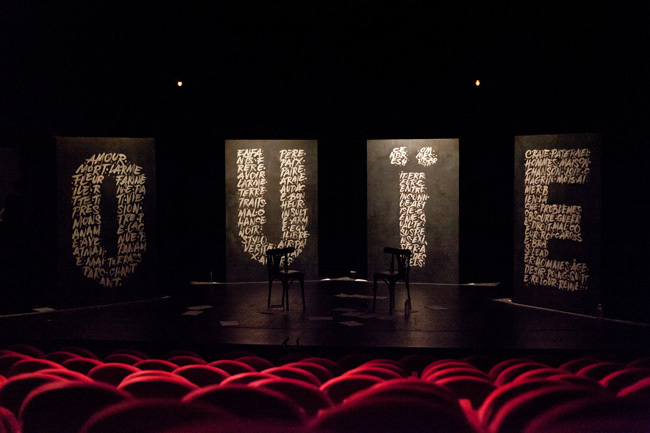 Photos: © Richard Banroques / shoes up & Arnaud Bigeard.